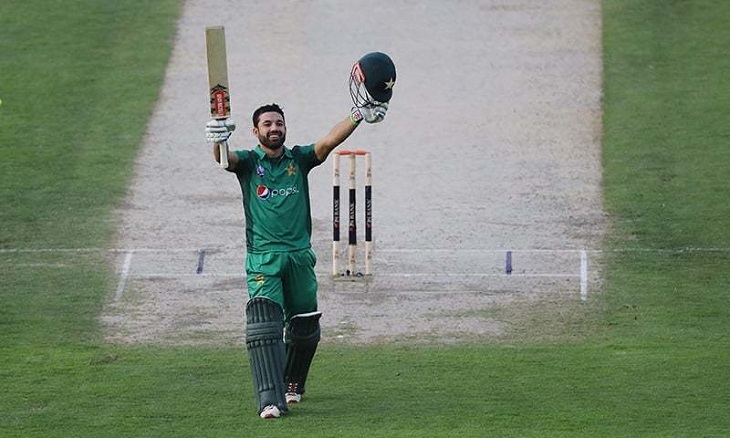 Wicket-keeping batsman Mohammad Rizwan hit a maiden hundred to guide Pakistan to 284-7 in the second one-day international against Australia in the United Arab Emirates on Sunday. The 30-year-old knocked 11 boundaries in his 115 total as Pakistan -- who won the toss and batted -- once again failed to crack the 300-mark on a flat Sharjah stadium pitch. Rizwan, only playing because regular keeper and skipper Sarfraz Ahmed has been rested for the series -- added 52 for the third wicket with Haris Sohail (34) and an invaluable 127 for the fifth wicket with stand-in captain Shoaib Malik. Australia lead the five-match series 1-0 after winning the first game, played at the same venue, by eight wickets on Friday. Shan Masood (19) and Sohail -- who scored his maiden hundred in the first game on Friday -- took the total to 35 when Richardson struck again, getting Masood caught at short mid-wicket. Is Being Girl a Sin?